Kress Five and Dime Store. In the case of examining historic resources in Ponca City, I approach it with the same eyes of the historian that I have brought to other locations—from Kaw City, Oklahoma, to communities along Route 66, to communities in southern Utah, to cities and villages and rural settlements all across Wyoming—but this instance is a little bit different. The difference is this: I grew up in Ponca City. family, by neighbors, by the people with whom we did business. With that personal familiarity with the physical remnants of the past combined with the professional historian’s eye to the direction of social change, it is possible to come to a deeper understanding of the significance of what remains from the past. That is what I attempted in my survey of buildings in Downtown Ponca City and what I continue to do in my ongoing research in Ponca City. Often the general pattern of development in a community or region is reduced to a vague formula usually summarized as “progress” or “growth” or “development.” And certainly there is merit to these generalizations when applied specifically and precisely. 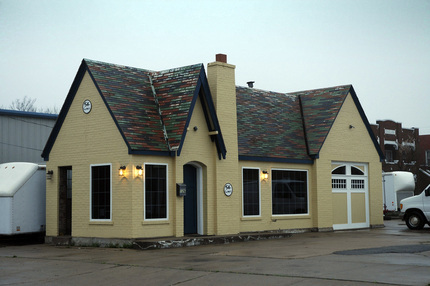 More meaningful, however, in the effort to evaluate historic properties, are more specific themes and trends that help identify when a building conformed to a particular trend, or even when it stood as an exception to that trend. The history of Ponca City is a brief history when compared to the history of cities elsewhere in the world or even in the United States, and this study examines that history up until about fifty years ago, stopping at approximately 1958, a short sixty-five years after its founding in 1893. Within that period of two-thirds of a century, however, Ponca City underwent significant growth, but, more fundamentally, the city was utterly and completely transformed in those years. The buildings in the downtown district of the city reflect the contours of that transformation. In fact, the buildings of the city show how the city from time to time reinvented itself, redefined its identity, and shifted its structure, sometimes in response to powerful forces pressing down from outside and sometimes in an effort to propel new forces of social and economic redemption. Many of the buildings that became durable, and not-so-durable, social and architectural landmarks in the city trace their origins to the boom years of the 1920s. But it was not just the construction of specific and notable buildings that is significant. The shape of downtown had as much to do with the multitude of small businesses in small buildings as it did with the towering structures that loomed over them. 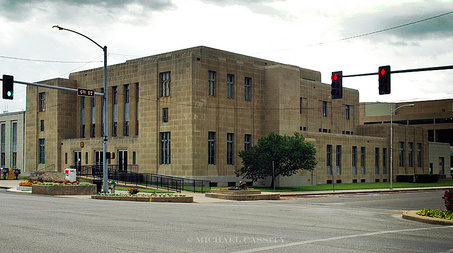 Downtown Ponca City was a livable place, as testified to by the hotels and apartment buildings that cropped up not far from the railroad depot and, with increasing frequency, near the bus terminal, and by the apartment buildings that housed regular urban dwellers. The cafés and restaurants that flourished up and down Grand and on the side streets provided easy meals, business meals, and venues for social interaction. The years of the 1930s witnessed changes associated both with the replacement of the Marland Oil Company by the Continental Oil Company and the downturn of the Great Depression. Significant expansion of the downtown to the east along Grand Avenue was especially represented with public buildings--the Post Office, the Library, and the Junior High School. Following further business consolidation associated with World War II, the retail economy of the downtown grew in the post war years and that growth proved to be a mixed blessing. The prosperity brought expansion, but it also brought more and more traffic and more and more people. In the 1950s when business began to expand, it did so in shopping centers rather than the downtown and along a growing commercial strip on Fourteenth Street. Ponca City was changing, was transforming, once again. Phillips 66 Station, South Pine, once one of many filling stations in the downtown area. 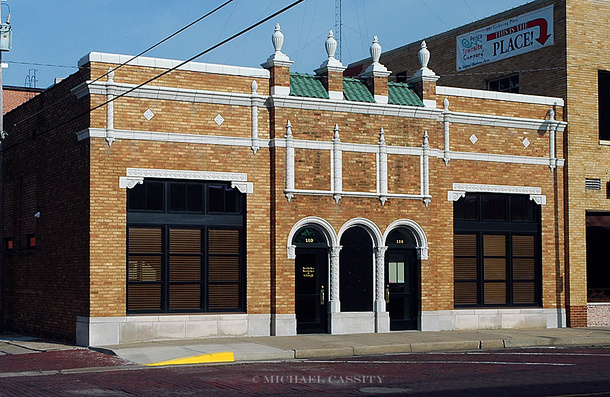 Following this survey, a nomination was prepared by Ms. Kelli Gaston for registering the Downtown as a Historic District on the National Register of Historic Places, and that nomination was successfully submitted and approved in March 2011.